Fry all mentioned spIces one by one on skillet and grind them well. Store them in an airtight jar. These spIces can be used in any curry. Boil mutton pieces well until done. Now heat oil in a wok and add mutton; fry on high heat until mutton turns to brown colour. Add chopped green chillies and garlic ginger paste. Fry it well for 2 to 3 minutes. Blend yogurt a little bit and add to the pan. Then add salt and special masala, and fry on fast flame for 2 to 3 minutes. Add fenugreek leaves and whole green chillies and cook until oil appears as a separate layer. Now garnish karahi with ginger flakes and serve with hot tandoori naans. 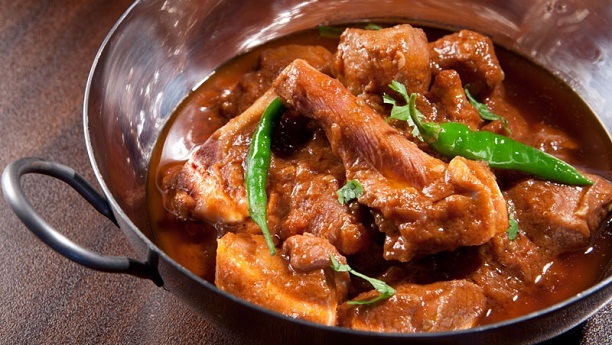 Mutton karahi is ready to serve. Enjoy in today's dinner.